Have you ever met someone and you say, "Hey you want to grab some tacos?" And they respond, "nah, I don't like tacos." If this has happened to you, talk to me immediately--that person needs a serious life intervention! Tacos are so versatile that I believe there is a taco out there for everyone. I've shared some taco recipes before. 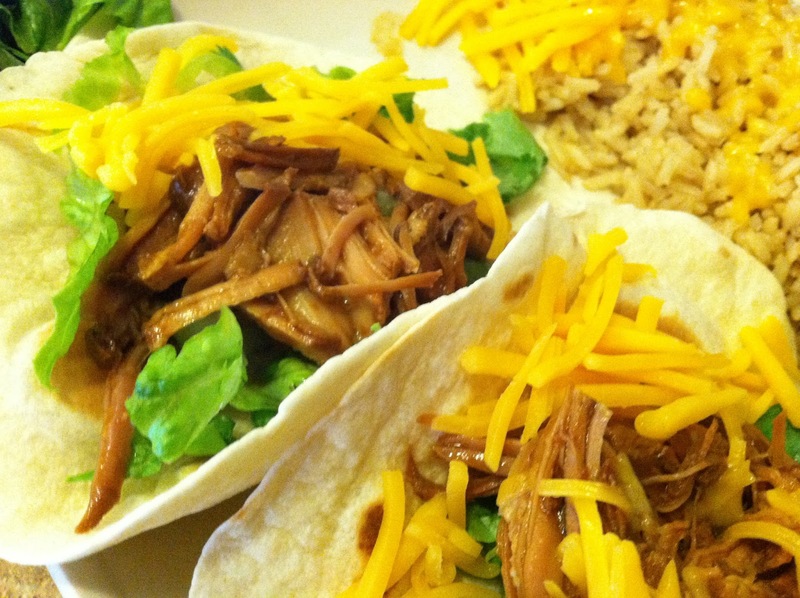 These pulled pork tacos are basically to die for. And then there are these blackened fish tacos that are so fresh and flavorful they will immediately whisk you away to daydreams of a tropical paradise. Today, to keep to the theme of Superbowl Game Day Appetizers, I wanted to share these tasty nuggets of taco goodness. That is, Chicken Taco Bites. If you are heading out to a Superbowl party and need a quick and flavorful appetizer, this is the recipe for you. These crispy little bites are packed with all the great tastes of a taco and look totally adorable to boot! To make the taco shells, wonton wrappers are pressed into a muffin tin and baked until crispy. Cooked chicken breasts are shredded or cut into small cubes, marinated in your favorite salsa (I had store-bought salsa fresca and it worked wonderfully! ), then get a quick sear in a frying pan. Our taco toppings are very simple -- crispy lettuce leafs, quartered cherry tomatoes, diced avocado, and shredded sharp cheddar cheese. That's really all there is to it! Once the shells and chicken have been cooked, all we need to do is assemble the taco bites. Quick tip - keep the bottom of your shells from getting soggy by lining the bottom of the cups with some of the lettuce. Place a few pieces of chicken on top of the lettuce, then add a pieces of tomato and avocado on top. Finish off each taco with a nice sprinkling of grated cheese. If you want to prep some things ahead of time, you can cook the taco shells and keep them well wrapped before using. Also feel free to marinate the chicken overnight for ramped up flavor. Just be sure to assemble the tacos as close to when you want to serve them as possible to avoid things getting soggy! The spiciness of the salsa marinade adds a great kick while the cheese and avocado soothes the palette. The freshness of the lettuce and tomatoes keeps you wanting more! Toss the chicken together with the salsa and place in the fridge to marinate for at least 30 minutes. Preheat oven to 350 degrees. In an ungreased muffin tin, gently push down one wonton wrapper into each muffin cup. Bake until golden brown, about 7 minutes. While the shells are cooking, heat a small amount of cooking oil in a frying pan. Add the marinated chicken and cook until it starts to brown. Transfer the chicken and any salsa that remains to a bowl and allow to cool slightly. Place a lettuce leaf at the bottom of each wonton cup. Top with a teaspoon or so of the chicken, a few pieces of avocado, some tomatoes, and sprinkle with cheddar cheese. These can be served as is or with sides of sour cream and salsa to dollop on top.